[IKO　MATSUSHIMA]　INTERNATIONAL KARATE ORGANIZATION KYOKUSHINKAIKAN » Blog Archive » IKO MATSUSHIMA 1st Asian Pacific Championship will be held on 21st May,in Jakarta,Indonesia. 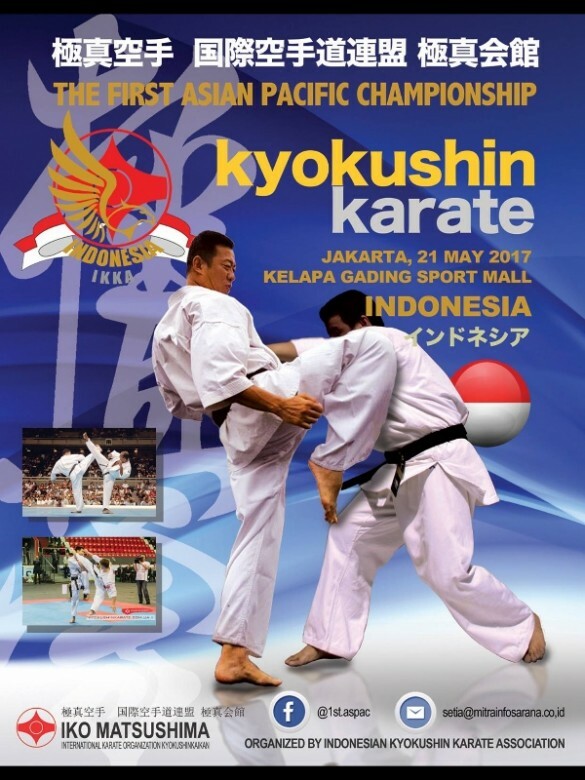 On behalf of IKO Matsushima Indonesia,Indonesian Kyokushin Karate Association-IKKA,we would like to invite you to attend The 1st Asian Pacific Championship in Jakarta,Indonesia,on 21st May 2017.We hope fighters in the region will get more experirnces through such events. How ever,we would have to limit the number of participants by up to four fighters for each category per country. Transportation from the airport to the Hotel on the arrival date ( 19 th May ) and back on the depature date ( 24 th May ) will be provided,please inform us your flight number and timetable. The Santika Hotel Kelapa Gading is located in the same building as the tournament venue so there is no transportation needed. The Indonesian Kyokushin Karate Association will cover the cost of two people ( in one room ) from each country during the event ( 19th-24th May ) that sends athletes and stays in Santika Hotel Kelapa Gading. Please mention The Asian Pacific Championship when you make a reservation,so that you can get a special discount price from the hotel.The latest booking with special price will be 1 month before the Tournament,ie.21st April 2017. Would you please contact with Indonesia Branch?